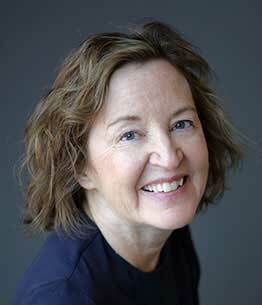 Nora Gallagher is an American writer of memoir, fiction and essays whose work, as one reviewer put it,” is renewing the language of ultimate concerns.” Her most recent book, Moonlight Sonata at the Mayo Clinic, is a memoir that explores her experience with a baffling affliction poised to take her sight. A map of illness, uncertainty, and faith that is both meditative and highly relatable for anyone who has experienced life-threatening illness or supported a loved one who has, Moonlight Sonata was published by Alfred A. Knopf on May 21, 2013. For media inquiries, contact Russell Perreault. For speaking engagements, contact Kate Berner. Moonlight Sonata at the Mayo Clinic is part three of a quartet on modern faith as it is lived out. The quartet begins with Things Seen and Unseen: A Year Lived in Faith published by Knopf in 1998. Followed by Practicing Resurrection: A Memoir of Work, Doubt, Discernment, and Moments of Grace. Things Seen and Unseen was a bestseller and a finalist in the Spiritual category of the 1998 Books for a Better Life Awards. An excerpt was a finalist for Best Spiritual Essays. Gallagher’s novel Changing Light was well-reviewed in the New York Times and other publications. It was chosen by the Times as an Editor’s Choice. Gallagher learned writing on the ground in San Francisco as a stringer for TIME Magazine where she covered the Patricia Hearst trial, the Moscone and Milk assassinations, the Dan White trial and subsequent riots and the AIDs crisis. Later, she worked for Life Magazine and free-lanced, traveling to countries where she was interested in how people were living in the shadow of large events. She reported on families in Prague, just after the Velvet Revolution and the strange case of Jan Kavan, a dissident accused of collaboration. In Nicaragua during the Sandinista regime, she wrote about daily life, including a production of “Waiting for Lefty” at the National Theater. Her essays, book reviews and journalism have appeared in many publications including The New York Times Magazine, DoubleTake, The Washington Post, The Los Angeles Times Magazine, Utne Reader, The Village Voice, Mother Jones, The Los Angeles Times and the Psychotherapy Networker. Gallagher is a popular speaker having given talks at Yale University, UC-Berkeley, Stanford University, and Washington’s National Cathedral. For appearance and lecture inquiries, please contact Kate Berner or visit the Random House Speakers Bureau. Gallagher was invited to enter seminary to become an Episcopal priest but finally decided to remain a layperson. She is preacher-in-residence at Trinity Episcopal Church, Santa Barbara and has given sermons in faith communities nationwide, including St. Mark’s Cathedral, Seattle, St. Paul’s Cathedral San Diego and Stanford University's Memorial Church. She has lectured on writing and taught writing workshops at Yale Divinity School and the Festival of Homiletics as well as at other institutions with grants from the Louisville Institute. Nora Gallagher has given readings at bookstores across the country including: Elliott Bay Books, Seattle; Bainbridge Island’s Eagle Harbor and Book Passage, Corte Madera and appeared on panels at the Los Angeles Times Festival of Books. She was born in New Mexico, the daughter of Julie Walcott Gallagher, who taught herself architecture, and David Gallagher, who learned the law at Yale Law School and in practice. She was educated at St. John’s College, where she studied the Great Books of the Western World. She is the editor of the award-winning Notes from the Field, published by Chronicle Books, 1999. A sermon is collected in Sermons that Work and a poem in the anthology, September 11, 2001: American Writers Respond. Among her honors are a Penny-Missouri journalism award and fellowships at both the MacDowell Colony and Blue Mountain Center. Her interests include the quest for meaning in our lives, how vulnerability connects us, the rights of patients, and breaking out of one’s religious tradition while maintaining integrity. She sits on the advisory board of the Yale Divinity School. She is represented by Philippa Brophy, president of Sterling Lord Literistic, New York. She lives with her husband, the writer Vincent Stanley, in Santa Barbara, California.